New York University Press, 9781479837304, 704pp. A wide-reaching collection of groundbreaking feminist documents from around the world. 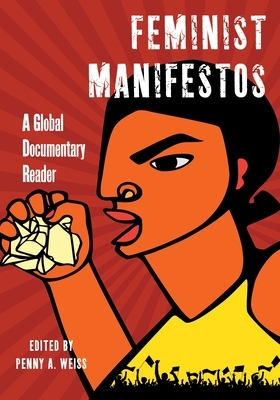 Feminist Manifestos is an unprecedented collection of 150 documents from feminist organizations and gatherings in over 50 countries over the course of three centuries. In the first book of its kind, the manifestos are shown to contain feminist theory and recommend actions for change, and also to expand our very conceptions of feminist thought and activism. Covering issues from political participation, education, religion and work to reproduction, violence, racism, and environmentalism, the manifestos together challenge simplistic definitions of gender and feminist movements in exciting ways. In a wide-ranging introduction, Penny Weiss explores the value of these documents, especially how they speak with and to each other. In addition, an introduction to each individual document contextualizes and enhances our understanding of it. Weiss is particularly invested in how communities work together toward social change, which is demonstrated through her choice to include only collectively authored texts. By assembling these documents into an accessible volume, Weiss reveals new possibilities for social justice and ways to advocate for equality. A unique and inspirational collection, Feminist Manifestos expands and evolves our understanding of feminism through the self-described agendas of women from every ethnic group, religion, and region in the world.